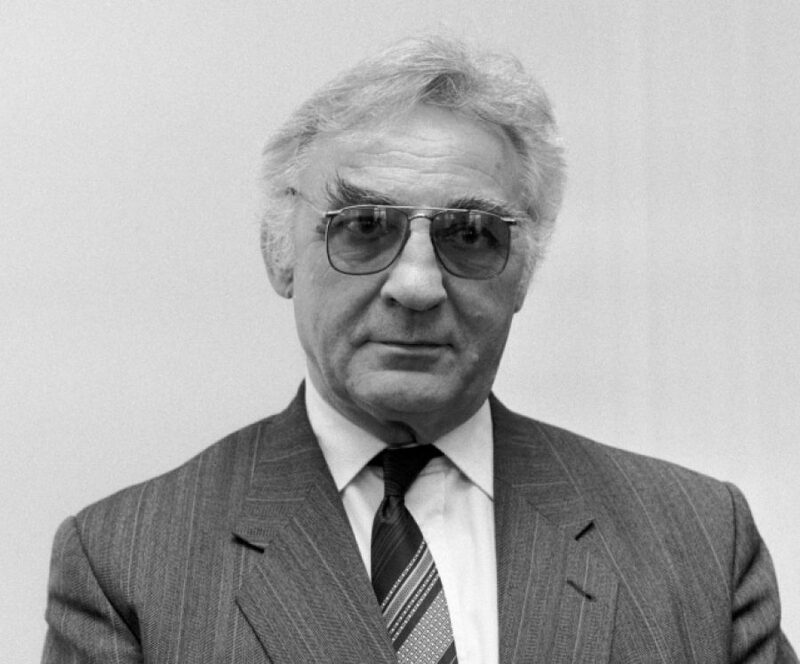 “Father of electron microscopy in the Czech Republic” Armin Delong (1925 – Brno) was from 1961 the director of the Institute of Scientific Instruments of the Czechoslovak Academy of Sciences (ČSAV) in Brno for almost 30 years. 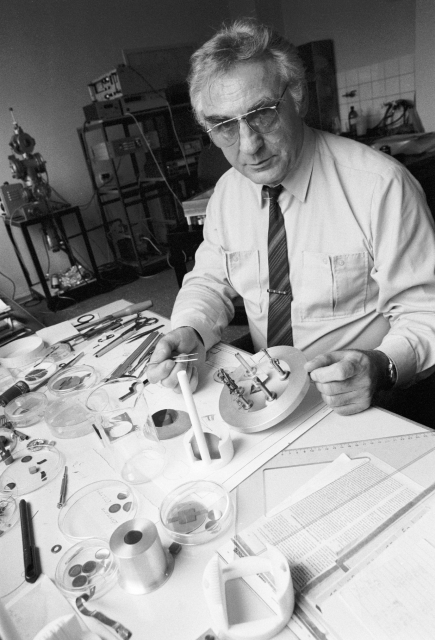 He worked for many years in the Laboratory of Electronic Optics of the ČSAV. His name is featured in Delong Instruments from Brno, a company which he founded with his students. Certain products at a world level are produced in the Czech Republic. These include in particular electron microscopes. The Institute of Scientific Instruments of the Czechoslovak Academy of Sciences is the founder of electron microscopy in our countries. The institute was established in 1957 as an instrumentation institution for other institutes of the Academy of Sciences, particularly in the field of electron optics and microscopy. All thanks to the world-renowned and respected scientist and founder of electron microscopy, professor Armin Delong. He dedicated himself to devising electron microscopes in the 1950s. For his prototype of the desktop electron microscope BS 242 he received a gold medal at EXPO 58, the Brussels World’s Fair. A perk of the electron microscope was that it was so small that it fit on the table, it was compact, easy to carry, and was intuitively controlled. Armin Delong was already interested in electronics at elementary school. At the age of 10, he received an electric kit and it fascinated him. “Before long, I was able to make a phone from the parts. Later I was building primitive radios,” he recalled. In addition to imaging methods of light microscopy (e.g. inversion, fluorescence and UV or IR microscopy), electron microscopy is one of the most versatile methods for viewing microcosms. It is used in various fields of science: from material research to biology, and provides information on the structure, chemical composition, crystallographic orientation and other properties of the specimens. The observed object can be magnified up to a million times to see details at an atomic level. Light is a rough tool for distinguishing nano objects in comparison to electrons – the light-based microscope will reach a magnification of at most 1500 times. 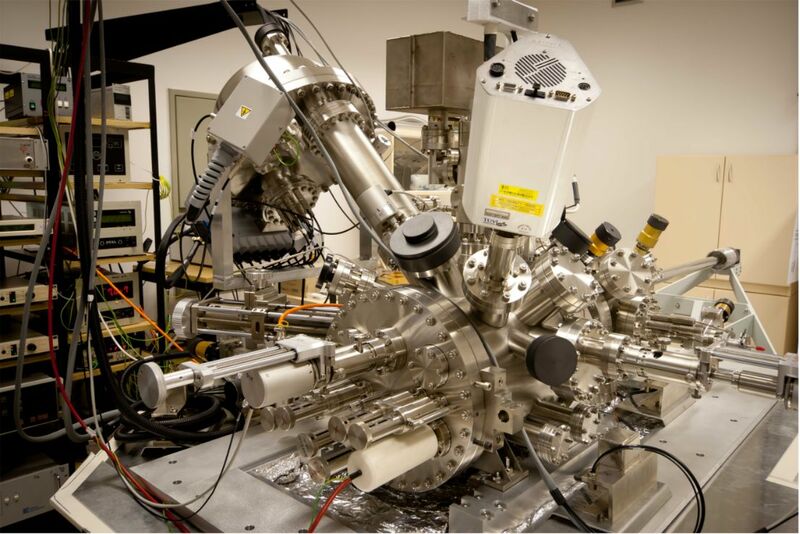 The scanning electron microscope examines the sample by “touching it” point by point with a thin bundle of electrons until it gradually pieces together the mosaic of the whole image. 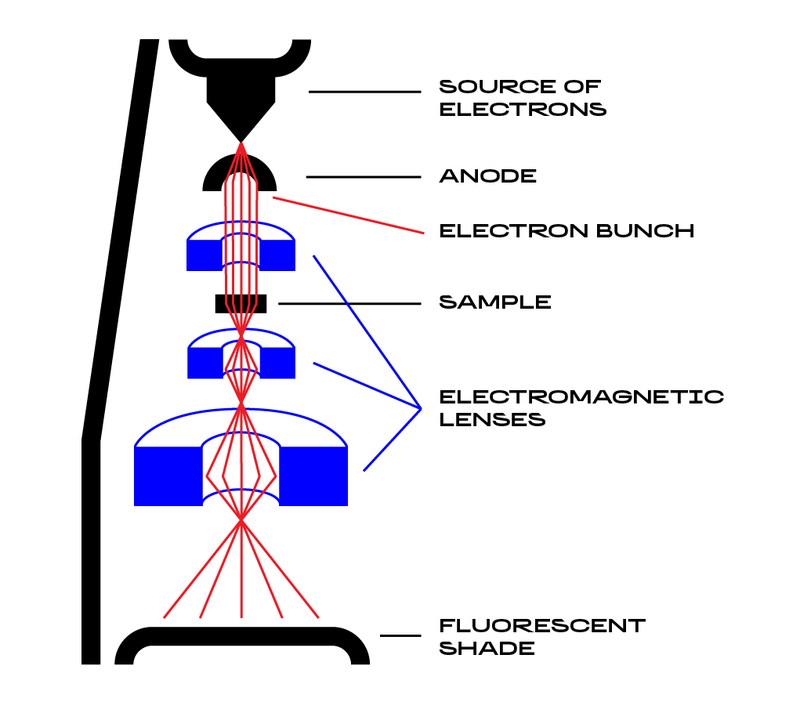 Sample information is obtained through the interaction of the electron beam with the material. 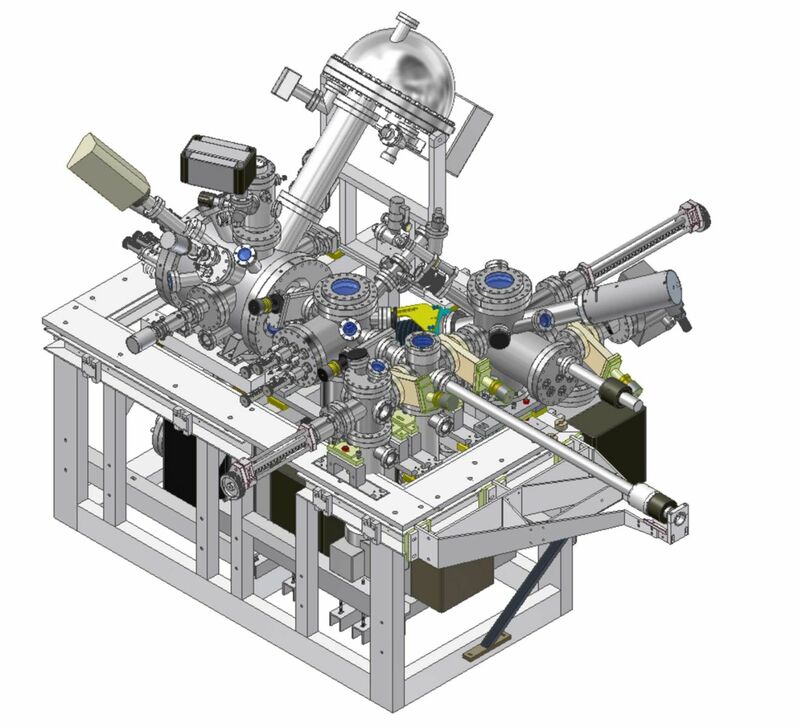 In conventional electron microscopes, the electron beam is accelerated to high energy, but the Brno team has developed an observational method with very slow electrons. Their different mechanism of action in the sample allows for the observation of unusual phenomena and the visibility of otherwise problematic details. Scientists from the Institute of Scientific Instruments of the Academy of Sciences of the Czech Republic participated in the development of the Magellan scanning electron microscope, which is produced by the FEI Czech Republic Ltd., and which has achieved world superiority in resolution on very low energies.